Lahaul-Spiti Sea-buckthorn Society in collaboration with Agricultural University, Palampur, organised a workshop on sea-buckthorn at Bhuntar in Kullu district. 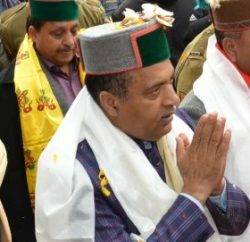 While addressing a workshop Forest Minister Thakur Singh Bharmouri said that more and more farmers would be motivated and wild sea-buckthorn jungle would be cultured for the benefit of farmers in Lahaul-Spiti, Kinnaur and Pangi. Forest Minister believed that sea-buckthorn cultivation would help to conserve environment, check soil erosion and give income to locals as they have rights over forest produce under the Forest Dwellers Rights Act. Dr Virender Sharma, Professor at Agricultural University, Palampur, gave a presentation on sea-buckthorn, highlighting how new variety and wild varieties could be harnessed to conserve environment and build sources of livelihood for the locals. 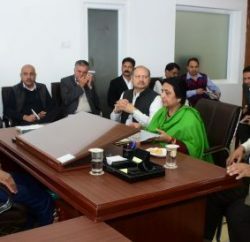 Lahaul-Spiti MLA Ravi Thkaur assured to encourage locals to go for plantations and training programmes and workshops would be organised in the region. BD Parshera, president, Lahaul-Spiti Sea-buckthorn Society, and vice-president of the society Prem Chand said that the government land would be brought under the plantation. 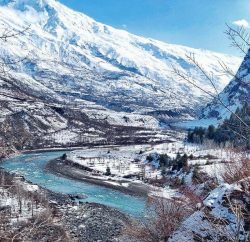 They said the society had produced pulp from sea-buckthorn after collecting it from the local collectors and sold it to the Lahaul Potato Society.